We have decades of data proving that psychotherapy works. But data also shows that spending on therapy is rapidly declining -- fewer people are coming -- as training costs and requirements increase. MFTs at all career levels are impacted by these trends, which are already pushing some well-qualified therapists out of the field. 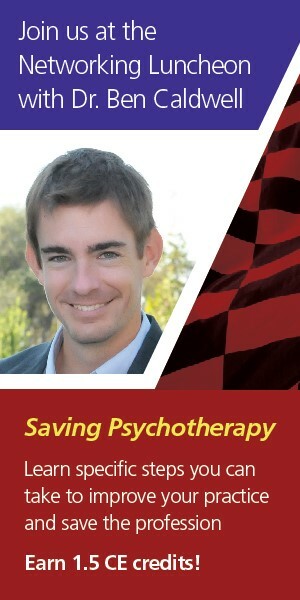 Ben Caldwell hosts this fast-paced, data-driven, and ultimately optimistic presentation that will outline the specific steps MFTs can take on an individual basis to improve their own practices, while saving our field from becoming one by and for the wealthy. This panel presentation will explore ethical considerations in using technology in MFT practice and supervision, areas of high risk and liability that are most likely to result in ethical complaints, examine procedures involved in the process of responding to an ethical complaint made to the AAMFT Ethics Committee, and facilitate an open forum for exploring current MFT ethical issues.